GOVERNMENT on Wednesday launched its E-Portal, an online gateway to all government information and services. The portal — GOV.JM — is expected to be the central place to perform online transactions with the government, find information on how and where to access government’s services and receive feedback to queries. 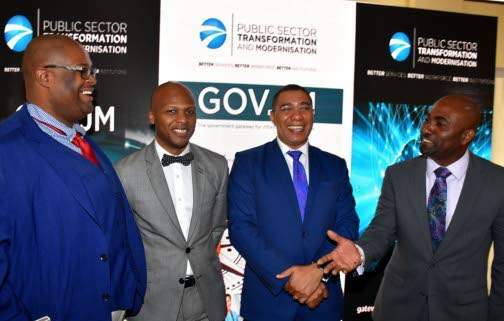 The project is being led by the Ministry of Science, Energy and Technology (MSET) through its technology implementing entity – eGov Jamaica Limited, and the Office of the Cabinet under the Public Sector Transformation and Modernisation Programme. Phase 1 is expected to be implemented over an eight-month period, Phase 2 over a one-year period with subsequent phases being implemented over two to three years. Among the services available are tax and traffic fine payments, as well as queries; motor-vehicle registration; bill payments; and applications for passport, birth, death and marriage certificates and driver’s licences. 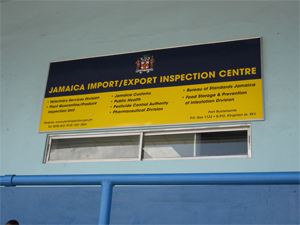 The website also facilitates charitable donations through the National Education Trust (NET); applications for import and export permits and licences; and access to forms and links for doing business and investing in Jamaica. Yesterday, while speaking at the launch at Jamaica House, Prime Minister Andrew Holness said that this serves to “eliminate hierarchical bureaucratic structures”. The prime minister appealed to those in top positions to “embrace change” by supporting the initiative and by giving it “full energy” to make the transformation work. “There has to be a cultural change. We must be prospecting in our outlook by embracing a digital culture,” the prime minister urged. He also appealed to the Cabinet office and those in MSET to ensure that there is a public relations programme to encourage Jamaicans to use the technology. Meanwhile, Technology Minister Dr Andrew Wheatley said that the ministry is carrying out continuous audits of all government websites and as such has improved the level of security throughout the Government. He said that representatives from the cyber response team will ensure that the website is updated with the relevant protective measures to prevent hacking. “We are also encouraging citizens to be cyber smart,” he said.